How To Buy The Best DSLR - Which? DSLR cameras are great for beginners, enthusiasts and professionals alike, but with so many models out there, how do you pick the right one? The best DSLR cameras produce the best pictures of any type of camera and also open the door to more creative photography. All controls for focus, aperture, shutter speed, ISO and white balance are at your fingertips. They give you the choice of trusting the camera’s automatic settings or taking full control of manual exposure when you need it. Whether you’re looking for a top-of-the-range model or an entry-level DSLR, there are plenty of options available, all depending on your budget. If you’re just starting out, look for a DSLR that can grow with you as you progress your photographic skills. Do you travel a lot and are concerned about shooting in the elements? Opt for a camera that has built-in weather-sealing to keep out moisture and dust. However, while the best DSLR cameras have intuitive controls and great handling, and produce the pictures of your dreams, the worst suffer from poor design, cheap build quality or short battery life. We test dozens of DSLRs every year. 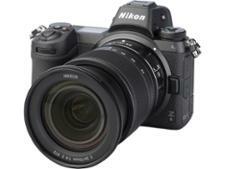 To discover which models we recommend, visit our Best Buy DSLR cameras. Before you buy a new camera, take a look at our interactive choosing tool below. This will help you decide between a mirrorless camera – also known as a compact system camera (CSC) – or a DSLR, as there are advantages and disadvantages of both. How much should I spend on a DSLR? DSLRs cost anywhere from around £300 for the most basic entry-level model, and go up to £5,000 or more for high-end cameras. Our Best Buy DSLRs range from £400 for beginners, to an eye-watering £3,500, although the latter price does buy you the kind of camera that professional photographers aspire to. You also have the choice of buying the camera without a lens (body-only). Typically, this only makes sense if you already own a collection of lenses, or you prefer to select speciality lenses for specific tasks. But it’s worth double-checking to see if your existing lenses are compatible with your new, prospective camera. The most important thing to consider about photography gear is that it typically lasts for a very long time – especially camera bodies and lenses. Photography is an expensive hobby and you shouldn’t be swayed by fancy technology that you’ll never use. So whatever camera you end up buying, think of it as a long-term investment, and it should serve you well for many years to come. Which DSLR brand is best? There are four main brands that manufacturer DSLR cameras: Canon, Nikon, Pentax, and Sony. Each brand has its own advantages and disadvantages, and the brand you choose will be down to personal preference. For example, if you’ve only ever used Nikon cameras and lenses, you’re likely to stick with the brand you know, and less likely to choose the brand you know nothing about. In committing to one manufacturer you’ll be buying into its range of lenses and accessories, and it can be really expensive to switch. Although there’s no correct answer as to which is best, and there’s no one brand that is better than the other, it’s worth knowing the key differences between different models to make an informed decision. Our recommendation is to choose a camera based on its features, not brand. Before making any purchases, research the different lenses and accessories available for the cameras you are considering. For example, if you want to shoot wildlife photography, make sure the camera has a compatible telephoto lens. When buying a DSLR, typically you'll be presented with a choice between two different sensor sizes: APS-C (also known as a crop sensor) or a full-frame sensor. When it comes to image sensors, bigger is definitely better, as the size of the sensor determines how much light is used to create the image. To see how different image sensor sizes compare, see our camera sensor sizes explained interactive tool. Your budget may also dictate which style of camera you opt for. 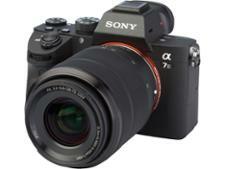 APS-C sensors are more commonly found in cheaper DSLRs and full frame inside enthusiast or professional-level cameras. APS-C sensors are still capable of producing fantastic-quality images, but if you're looking to step up in image size and quality, full frame is the way to go. Ideal for panoramic and landscape shots, full frame also excels in low-light conditions because the bigger sensor captures more light. On the other hand, if you're zooming in on far-off subjects, such as a lighthouse or a mountain, an APS-C sensor will suit this better as the subject will fill more of the frame. While full-frame sensors may be preferred by professionals and enthusiasts alike, it could be considered overkill for beginners or intermediate photographers. You can still get high-quality shots from an APS-C sensor. What makes a good DSLR camera? Image quality The larger body of a DSLR means it can house a bigger image sensor than both a compact and bridge camera. Larger sensors, featuring 24Mp or more, mean DSLRs can capture a huge amount of photographic detail. Speed DSLRs are extremely fast when it comes to shutter speed and focusing, with DSLRs able to shoot images one after another in rapid succession, described as burst or continuous shooting mode. The best DSLRs capture around eight or more fps (frames per second). ISO-level range The ISO-level range of a DSLR determines how sensitive the sensor is to light. A higher ISO range of 1,600 and upwards is particularly useful when taking night photography or shooting in low-light conditions. A large ISO range is best for flexibility and shooting in different conditions, but the downside of a higher ISO setting is increased image grain. Video recording DSLRs were for a time massively popular for recording high-quality HD or Full-HD video. CSCs have now surpassed this by offering 4K video recording on most models. 4K video is four times the resolution of Full HD video and you'll only see the benefits if you're watching it on a 4K-enabled screen. Design It’s usually not the first thing you think of when selecting a camera, but buying a DSLR with good design is still important. Some models may have cramped controls, making it difficult to seamlessly switch between different shooting modes, or lack a decent hand grip to securely hold onto the camera. These points and more need to be considered if you want to use your camera comfortably. Adaptability and creativity Most budget-level DSLR cameras come with a starter 'kit lens'. Frequently, this will be an 18-55mm lens as this is the normal focal length for DSLR cameras. Depending on your budget and what you're shooting, you can buy different camera lenses, such as a wide-angle (16-35mm) or fisheye lens (8-15mm), to achieve different effects in your shots. Image stabilisation If you’ve got a shaky grip on your camera, image stabilisation in a DSLR will counteract photo blur. Because image stabilisation is often built into the camera sensor or camera lens, or both, it’s a lot more effective when compared with compact point-and-shoot cameras. Manual exposure controls While some compact and bridge cameras come with the ability to shoot in manual mode, DSLRs are designed in a way that you'll want to control your own settings. Shooting in auto mode is OK for beginners, but advanced users want to control every aspect of the shot, and this is where the different manual exposure controls come into play. For more advice on camera settings, see our DSLR camera settings explained guide. Weatherproofing or weather sealing The majority of DSLRs are weather sealed, making them resistant to conditions such as rain and snow, as well as protecting the internal parts from dust and moisture. If you expect to be shooting frequently in the outdoors, this is a must-have if you want to extend the life span of your kit. Connectivity Wireless connectivity built into your camera used to be a rare bonus, but now most DSLRs come with Bluetooth, NFC (near-field communication), wi-fi or all three for transferring photos and videos wirelessly to your smartphone or tablet. The best DSLRs also come with built-in GPS, which is handy when travelling, as it helps you remember specifically where shots were taken. A DSLR or system camera (the term for DSLRs and mirrorless cameras) is definitely worth investing in if you want a little more finesse from your photos. With big sensors and the ability to switch between lenses, these models can capture a lot more detail than a standard digital camera. Which type you should buy depends on your needs and budget. Digital single-lens reflex camera (DSLR) Used by professionals and amateur photography enthusiasts alike, a DSLR camera is the best option if you want high-level control over your photos. You can use different lenses to create different effects, for example, pick a wide-angle one for landscapes or a macro lens for extreme close-up shots. Pros: Optical viewfinder, you can adjust shutter/aperture/ISO and white-balance levels, better image quality than a compact or bridge camera, larger library of lenses and accessories available. Cons: Bulky size and weight, high-end models can be very expensive, slower continuous shooting speed. Buy if: Only the best photo and video quality will do. Mirrorless (compact system camera) This type of camera is ideal for anyone wanting to jump up a level from a simple point-and-shoot camera, but without getting bogged down by settings and menus. As they are interchangeable lens cameras they offer similar photo and video quality to DSLRs, but they're smaller and easier to use. Pros: Electronic viewfinder, smaller size and weight than a DSLR, generally less expensive than DSLRs, fast continuous shooting, 4K video is becoming common, plus more scene modes and automatic settings. Cons: Some models lack a viewfinder, fewer quick-access dials/buttons, smaller collection of lenses and accessories available. 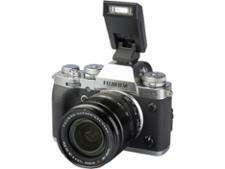 Buy if: Interchangeable lenses are a must, but DSLRs are too bulky.